Cinnamon Toast Crunch, with its mix of sweet cinnamon sugar and toasted grain flavors, has always tasted more like churros than, well, toast. But soon, the popular sugary cereal will finally ditch its toast-like square shape and go full-blown churro -- with all-new Cinnamon Toast Crunch Churro cereal. It’s about time. 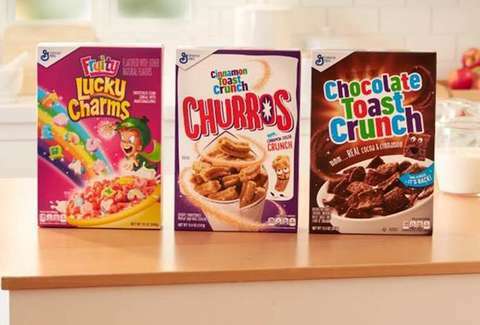 On Monday, General Mills officially unleashed the new cereal, which marries everything you already love about Cinnamon Toast Crunch with even more cinnamon and more crunch. You can officially enjoy the classic fried dessert for breakfast and no one can give you any grief about it. The cereal features bite-size churros dusted with real cinnamon “to deliver a sweet cinnamon flavor,” according to a press release. Like traditional Cinnamon Toast Crunch, General Mills’ new Churros variety promises to stay crisp and crunchy, even when doused in milk. If cereal with milk isn’t your thing, fear not. Cinnamon Toast Crunch is “a convenient version of the classic churro that makes a tasty snack for on the go.” And really, who wouldn’t want to carry mini churros with them wherever they go? Churros for breakfast, folks. What a time to be alive.